Hi all! I think you'll probably agree that this time of year is amazingly insane and busy. Of course, it's in a good way... but I have found myself struggling with getting any reading done! I have been reading the same book since Thanksgiving night. How do you guys do it?! For my post today, I thought it would be fun to highlight a few of the quickies I've read recently that were adorable, and will also help with getting you in the Christmas spirit. Definitely try to squish in a little "me time" for these ones! Several of them have been, or will be featured in my 25-day event: A Bookish Little Christmas with That Artsy Reader Girl. Feel free to jump over there and see all the Christmas-ness that's going on! buy it, or add it to goodreads. I know that pretty much anyone in the entire world knows about this one, but I just barely read it last year... so maybe I'm not the only one behind the times. This book has three short stories in it, and all of them are pretty darn amazing. Plus, they all end up tying in to one another. John's and Maureen's were my favorites. This book had been out of print for a while, and I am SO glad it is back! More people need to read this! Kate is bookish and hilarious, and I really ate this book up. She describes this book better than I can, so here you go! "I’m Kate Bjorkman. I don’t like romance novels. They’re full of three-paragraph kisses describing people’s tongues and spittle. But what do you do if you’ve lived a real romance with a great-looking guy (Richard) and he loves you as much as you love him? I know what I did. I wrote this romance novel about myself, using the Romance Writer’s Phrase Book. I also used stuff my English teacher taught me about writing. He said a story must have conflict. No problem there. My life was one big conflict last Christmas. I didn’t make anything up. This is the honest truth and I want truth even in romance. I’m betting you’ll want the same." I really, really loved this one. Check out my full review, and either buy it, or add it to goodreads! So, there you have it: three of my very favorite Christmas stories! If you're looking for many more, and you're on a budget I've got an awesome list of free and cheap Christmas reads that I'm sure will brighten your holiday season. Merry Christmas! Oh, P.S. While you're here... how on earth do you juggle the holidays with reading? It's my favorite time of year to read, and I have no time at all! The timing of this post is perfect because I have been struggling lately too! I have so little free time that I'm scared to even commit to new books because I'll feel even more cheated if they aren't good. Definitely going to try some of these starting with "Let it Snow" (you were not the last). A few years ago I read "On Strike for Christmas" - can't remember the author - but it was cute and fun. 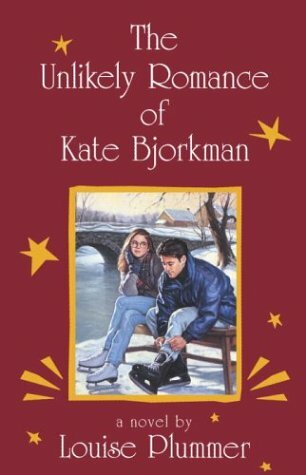 The Unlikely Romance of Kate Bjorkman was one of my favorite books growing up! I really enjoyed this post. I was just thinking about how I would really like to read a holiday novel, but as you are aware time is in short supply during the holiday season. I will have to check out snowed over. Thanks for the great post and I will now be checking out the cheap Christmas reads post as well. Awesome picks! 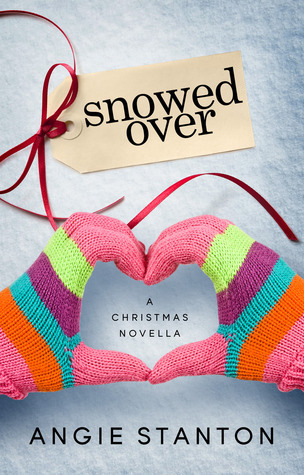 I LOVE the cover for Snowed Over ... it's just so pretty! 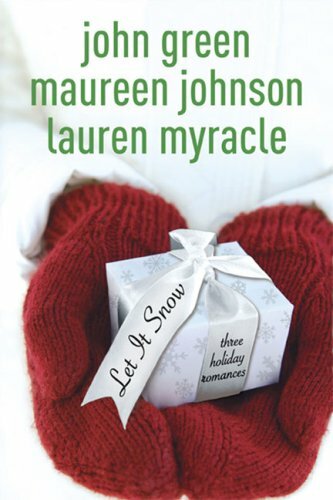 And I just read Let it Snow the other day and it was surprisingly good. I remember the stories not thinking they were THAT good, but then I got so into them and the way they all entwined with one another and finished the book feeling oh so happy! John Green and Maureen Johnson are absolute GENIUSES. I'm still trying hard to get into Lauren Myracle, but this book sure helped! I will be checking out Snowed Over! Thanks for bringing it to public attention! The story does sound cute! Haven't read Let it Snow either! Sigh! If it's something by John Green I know I will love it. Holiday time is the time you relax, unwind (can't use this term without remembering Neal Shusterman) and you WANT to curl up and read a book but god, it's actually so hectic!! I read when the guests are gone and the world is sleeping!! I discovered this book in high school, when all my friends were really getting into Romance novels. I bought one of them a copy, and it ended up getting passed around as often as the Romances! I'd say that Kate doesn't "trash" them as much as she sends up the conventions of the more "embarrassing" (for lack of a better word) examples of the genre, and that this joke works best among those who may be a little embarrassed by their own Romance reading. Like my friends. LOL!